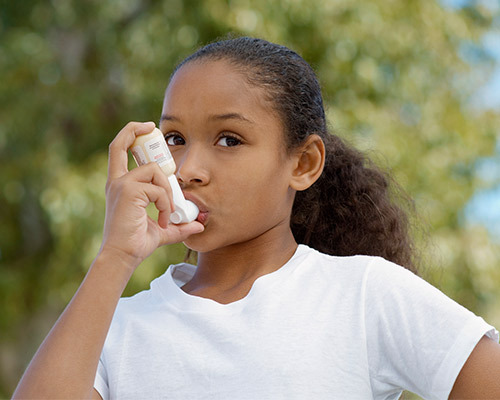 Asthma is constriction of the small muscular bronchial tubes of the lungs, accompanied by mucus secretion and tissue swelling that causes difficulty breathing. The bronchial tubes are controlled by the nerve impulses. Constriction and mucus secretion can be caused by nerve irritation. Spinal segments house nerves that control the lungs and bronchial tubes. Spinal misalignment (subluxation) causing pressure on these nerves, may play a role in bronchial problems. Have a chiropractor evaluate your child’s spine for the existence of subluxation.